Ten years of administration for the failed airline has proven a fees bonanza, but exactly how much no one knows, writes Michael West. Mark Korda was casually non-committal last year when asked how much his insolvency firm had earned from the collapse of Ansett Australia. It ”could be $20 million”, he told BusinessDay. And the rest? Ansett is probably the biggest and almost certainly the most profitable insolvency in Australian corporate history. It shot Mark Korda and his partner Mark Mentha to stardom on the liquidators scene after the two young partners of Arthur Andersen set up shop on their own and took the Ansett business with them. How much the administrators have made from the Ansett collapse is a mystery. KordaMentha doesn’t have an answer. Union reps on the creditors’ committee, who were instrumental in appointing the administrators, don’t know. The corporate regulator referred the inquiry back to KordaMentha. The real reason we don’t know comes down to systematic regulatory failure involving Ansett’s financial accounts. 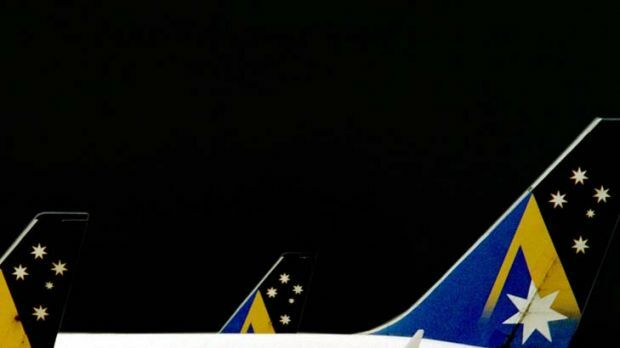 An investigation by BusinessDay has found the Australian Securities and Investments Commission cannot explain why eight years of audited financial accounts for the Ansett Group are missing. ASIC says it issued a financial reporting exemption covering the other two years of this 10-year administration (2004-05), but that document has never been made public. High in their 333 Collins Street eyrie, the most chic corporate address in Melbourne, KordaMentha counts Timbercorp, Westpoint, Griffin and Frigrite among its array of lucrative insolvencies. The firm now has offices in every state. It was all built on Ansett: the airline’s $3.5 billion in assets, its 10 million aircraft parts and 42 companies. Ansett’s epic 10-year administration is nearing its end. ”I think in the circumstances it’s a very good result,” said Mark Korda last month as his firm made its final payment to Ansett staff, bringing their payout to 96¢ in the dollar. The unions have also been bathing in self-congratulations. ”The ACTU and Ansett unions worked tirelessly, both publicly and behind the scenes, to ensure the workers were not short-changed,” said the press release on the 10-year anniversary of the airline’s demise. Contacted by BusinessDay for this story, the assistant secretary of the Australian Services Union, Linda White, who was also the union rep on the Ansett creditors’ committee, was unable to provide a tally of administration fees. Mark Korda and Mark Mentha were also contacted. Korda was away from work and Mentha did not provide a detailed response to questions. Meanwhile – as the assorted parties were announcing how successful the administration had been – 1000 kilometres north, inside the concrete quadrangles of the University of NSW, an accounting academic had been roused by the media spin. Jeff Knapp, a chartered accountant with a penchant for corporate regulation and insolvency, went to work reviewing the financial information in the Ansett graveyard. ”The first thing I noticed is that the financial accounts for 2000 for Ansett Australia are non-compliant with the law because they ignore the accounting standards for related parties and financial instruments,” Knapp told BusinessDay. And the rest. There is a pattern of withholding financial information about Ansett from the public record that is disconcerting to say the least, Knapp says. John Williams, the Nationals senator who instigated last year’s inquiry into the insolvency industry, said the circumstances surrounding Ansett were ”bizarre” but he was not surprised at the missing accounts. The Senate inquiry fielded 100 submissions, 80 per cent of which were critical of ASIC. 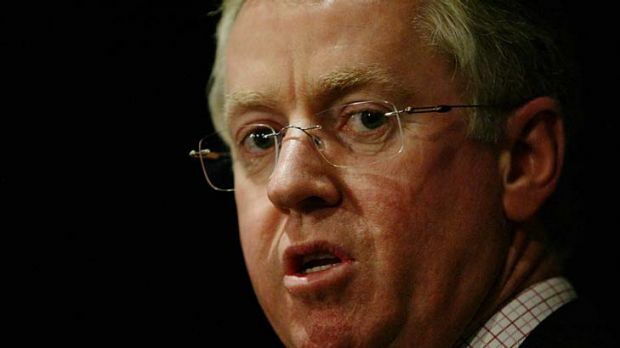 Williams and his committee recommended that ASIC be stripped of its powers to regulate the insolvency industry. ”The first thing we need is a regulator which does its job,” he told BusinessDay. Although the government has ignored the findings so far, Williams said he would soon lodge legislation for reform. 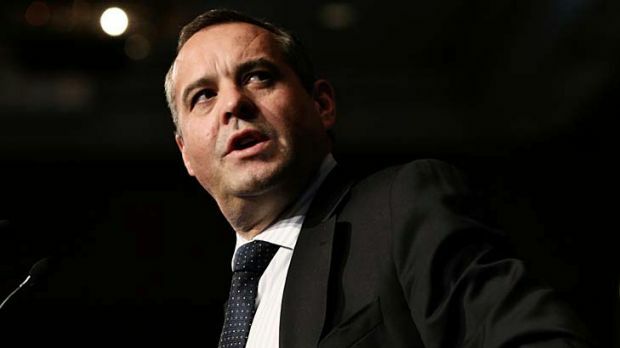 The public policy issue is that the removal of audited annual accounts has made it impossible for Ansett’s multitude of stakeholders to assess what actually happened to their company. Customers, creditors, staff have a right – enshrined by the law – to access those missing accounts. Knapp contends the unaudited data in the first report to creditors suggests a financial re-engineering of the Ansett Group before the administration occurred during 2001 involving related party balances. ASIC has known for many years that Ansett’s accounts are missing. The matter is believed to be a source of controversy within the organisation. Knapp says a fresh debate about financial reporting by companies in administration may be necessary. In response to a series of questions, ASIC conceded that some earlier accounts were missing but declined to proffer an explanation. ”ASIC records show that the Ansett accounts for the years 2001-03 have not been lodged. ASIC has requested this information from the receiver,” a statement said. ”If ASIC is fair dinkum they should make a request to Korda Mentha, the deed administrators, rather than Ferrier Hodgson, the receiver,” Knapp said. ”And while they are at it, they might want to check whether the accounts for the years 2004 to 2011 should also be produced. So what are the administrators’ fees for Ansett? Ansett collapsed the day after the September 11 attacks in 2001. Three partners of PricewaterhouseCoopers were initially appointed administrators but their tenure lasted just five days. According to the ”Third Report to Creditors” by Korda Mentha, PwC received $1.8 million for this five days of work. Apparently $1.1 million of this was approved by the court. That was evident from an earlier report. In accordance with professional obligations, PwC’s fees should have been time-based, Knapp says. Incredibly, the five days of PwC work is equivalent to 53 partners working an 80-hour week on the prevailing charge-out rate of $420 an hour. This rapacity set the tone for the rest of the administration. PwC was not acceptable to the unions, so the lucrative role was given to the ill-fated Arthur Andersen, the global accounting practice which cratered amid scandal and criminal charges relating to its audit of Enron in the US. In the next three months, Arthur Andersen took over from PwC and charged $10.8 million as no less than 160 Andersen staff, headed by Mark Korda and Mark Mentha, beavered away on nearly every conceivable function within the collapsed aviation empire including, even the management of its hedge book. It is not possible to accurately tote up the fees and charges of the Ansett administration as there are no financial accounts and significant omissions in the creditors’ reports. And there is no information on disbursements. This is critical. A disbursement is a charge for costs of the administration such as photocopying, legal fees, couriers, and other operational costs. As the administrators filed no financial accounts – and no statements of income and expenditure or cash receipts and payments – we can only surmise what the true costs of the administration were. For instance, there is mention in ”Third Report” of a ”greenfields IT development using specialist accounting and IT staff”. Property, utility and IT costs are shown at a heady $78.6 million. Did Arthur Andersen make a profit from this? Probably. The question of disbursements, and overall fees, was put to Mark Mentha. No figure was forthcoming. Within 12 months of the administration, total fees disclosed were $32.5 million and the administrators’ slice was $30.3 million. Then the fee trail goes cold. Nothing is divulged on actual fees from October 2002 until December 2003. It’s a guessing game. All up, visible or disclosed fees in the creditors’ reports stand at $45.6 million. That is before disbursements. It is also before the dark period of zero disclosure in which fees range from $9 million to $30 million. ”What is clear is that the great bulk of the administrator’s fees are incurred in the earlier years 2001 to 2003 when there were no audited financial accounts,” Knapp says. Ironically, in February 2005 KordaMentha finally fleshed out their ”detailed Ansett Administrators’ Remuneration Policy Manual”. Alas, the fee horse had bolted. The Ansett administration sets a lamentable precedent for regulation, disclosure and insolvency generally. Nobody has proven accountable for that $3.5 billion in assets on the airline’s balance sheet at the time of its fall. We may never know where or how it all went. In response to questions put to KordaMentha, Mark Mentha pointed to extensive reporting for Ansett creditors – including 101 creditor-related reports and 60 employee updates. But the lack of financial information is what needs to be considered, Knapp says. Go to your local golf club and they will no doubt be able to show you a recent balance sheet and income statement together with the auditors’ report. But this is precisely the financial information that is missing for Ansett for 10 years. ”This must rate as one of Australia’s worst accounting failures and ASIC should be brought to account for their role in it,” Knapp says. Making this story even more extraordinary is that, thanks to the structure of the administration, the federal government actually made a profit – they call it a ”surplus” – on the collapse. Canberra got back $363 million from $384 million advanced to KordaMentha but kept the $313 million it made on the Ansett ticket levy.